Today we take a look at our latest game Miracle Merchant which was released on the 2nd of August. MM is the second game we released this year after Card Thief came out back in March. Miracle Merchant started out as a pitch for Nickelodeon after we released Card Crawl in 2015. Nick was highly interested in Card Crawl and wanted us to create a branded version for them. As i disliked the idea of creating the same game all over again with just slightly different graphics i decided to pitch a new concept to them. I took the base idea of being the apprentice of Mr. Crabs who has to created Krabby Pattys for impatient customers and designed a solitaire style card game concept around it. At the time i was still greatly inspired by Hearthstone’s simple mechanics. Especially the positioning aspect of placing units left, right and in-between already placed ones is very interesting and leads to a lot of meaty design space. So i came up with a system where each card has connectors on each side that made placement of the cards important. This idea evolved into MM’s core mechanic of placing ingredient cards relative to each other to achieve the best possible turn. The prototype was done pretty quickly and still can be played here (Web GL Browser needed). But Nick wasn’t very interested and the whole conversation basically died down. I left the prototype where it was for a few month and started working on other things including Card Thief. But i always thought the game had some potential. This is why i contacted Thomas Wellmann and asked him if he would be up for a smaller side project without a strict deadline. We agreed on working on a potion vendor theme and made MM on and off in the course of about a year. 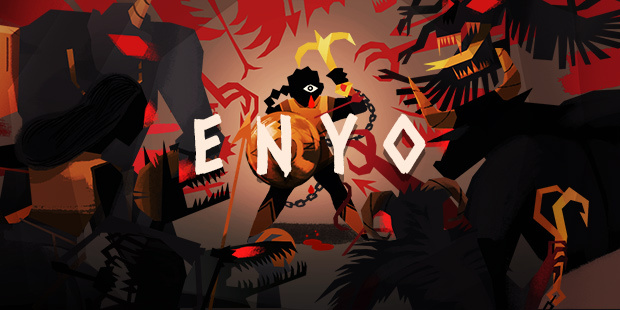 We finally released the game on the 2nd of August 2017. Again i always planned the game as a small basic concept that offers a few interesting ideas such as a randomly generated deck of cards and a few interesting design choices. In comparison to Card Crawl and Card Thief it’s really small and does not have a lot „todo“. 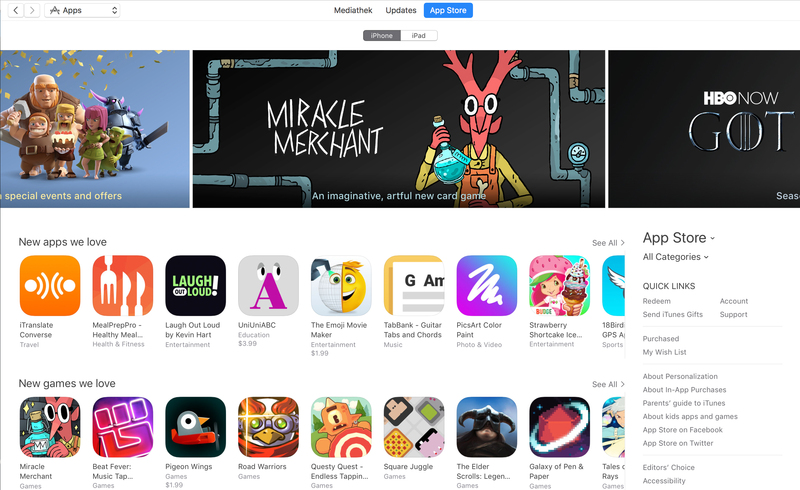 This is why i planned on not making too much noise about it, but Apple really seemed to like the game and with a bit of luck and not to much competition in the release week we could secured another #1 featuring spot on the US App Store and several other stores as well. The game got pushed quite a lot through the featuring and peaked at the #11 spot overall on the US App Store. We could reach the top 10 in the Games (#9) and Card Games categories (#2). On Android we had a bit of a slower start, but could gain some momentum after a few days. We got some smaller card game category features there as well, but nothing in comparison to the App Store feature. The game’s reception was mixed to be honest. A lot of our fans expected another game in the „Card X“ series, but we always said this is not a game within this line of games. I do understand a lot of the complaints that were directed towards the lack of progression and the overall feeling of getting something for your successful games. The game is bare bone and has not a lot of carrots on sticks implemented. We do have the potion collection and the daily tasks but these seemed to shallow for a lot of players. We are still thinking about ways to add some kind of meaningful progression to the base game. We’ll see how the long tail of the game will turn out in the coming months and update the game accordingly. Ratings on both iOS and Android are quite good non the less. Despite the lacking features i think the game turned out pretty good. Art and Music are fantastic and i think we could communicate the idea of being a potion brewer pretty well. Again i think the core concept of the game is very interesting and i’m quite surprised not a lot of people have talked about the randomly generated cards which are quite unique design wise. I will make sure to post another design deep dive on that as well in the future. Financially the game did very well once again and it seems that at this point it’s hard for me to create something that not a lot of people will see. I know that i’m in a very fortunate position where a lot of eyes are on my work and it’s very easy to get attention of fans and press alike. It’s a lot of pressure on one hand to always live up to the big expectations fans have of my games, but on the other i really want to continue to also release smaller more condensed projects that have maybe one interesting aspect and can exists on their own, without fitting into a bigger context like my „Card X“ series. Again, thanks for buying the game and if you haven’t make sure to leave us a review on any store!